Regular readers will already be familiar with Ian Gittins' previous work: his Dragon VK.45.02 (P)H tank and his Trumpeter E-100. 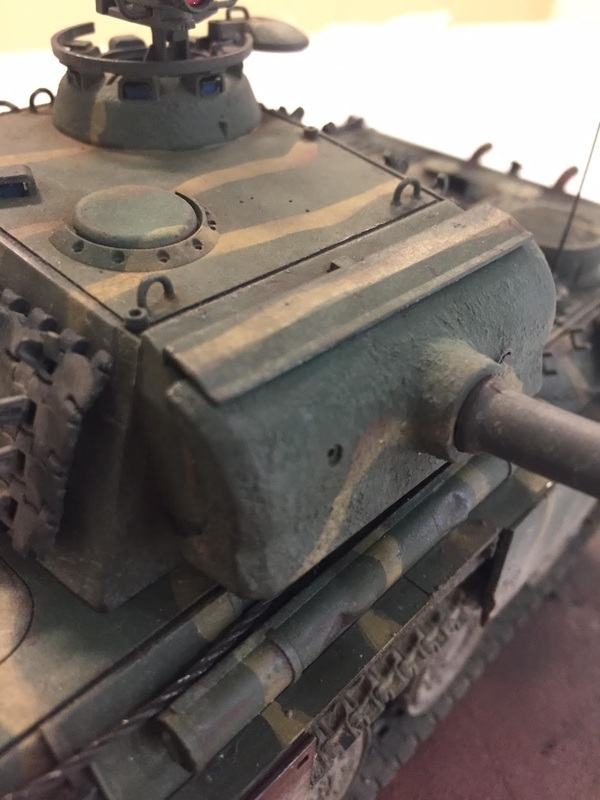 He specialises in bringing to life late-war Panzers, and his latest build is just as war-weary, menacing and realistic as before. I present to you Ian's late-war Panther. "Here's the latest one off the production line at the Gittins Panzer factory... went for the rust red / missing panels / dents / rust look. Quite pleased with my rough cast textured gun mantlet. Also added some track hangers on to the turret and used real cable for the towing cables. Really pleased with how this one turned out. Didn't even snap anything off either, that's a first!" I love that mantlet texture. 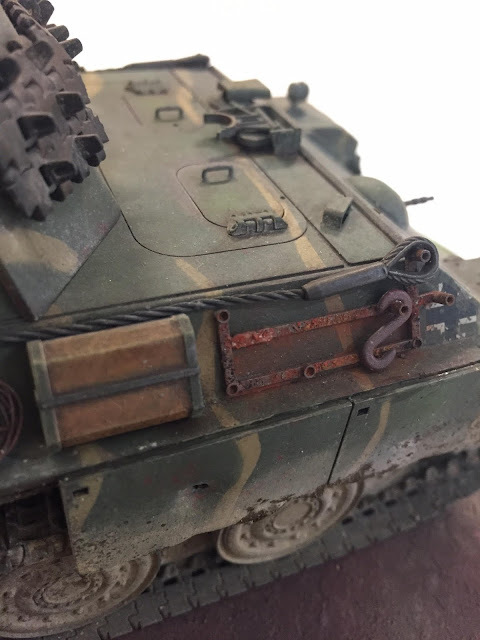 "The rust is done with a base coat of Vallejo dark rust paint followed by Vallejo pigments, a touch of Vallejo rust wash, AK Rust Effects and a hint of Vallejo Matte Medium to hold it all on. The rough cast texture was just Tamiya glue mixed with Humbrol filler. It dries in about 2 seconds so I had to be very, very quick." As always Ian, this is impressive stuff. I really am a fan of that rust and that mantlet texture, they truly stand out to me. I'm well impressed by Ian's output. He produces a top-quality model about once a month - and here I am working on the same Mustang I started four months ago! 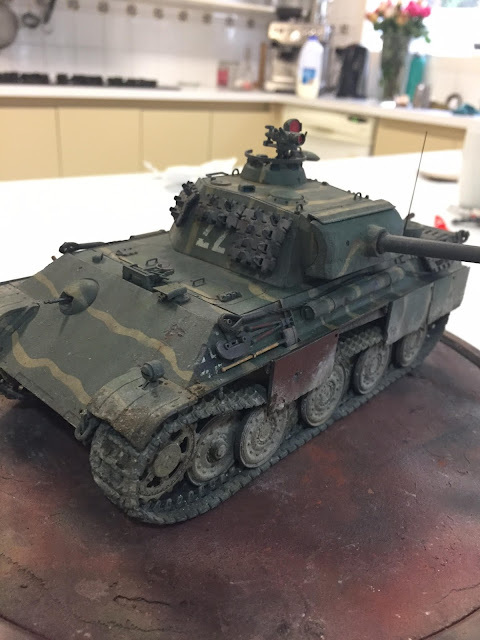 I know he has a family and a full-time job, and still he is prolific - I think I could learn from that :) Now I just need to pull my finger out and make a start on my own 1/35 Panther! Thanks as always Ian for letting me share your amazing work.